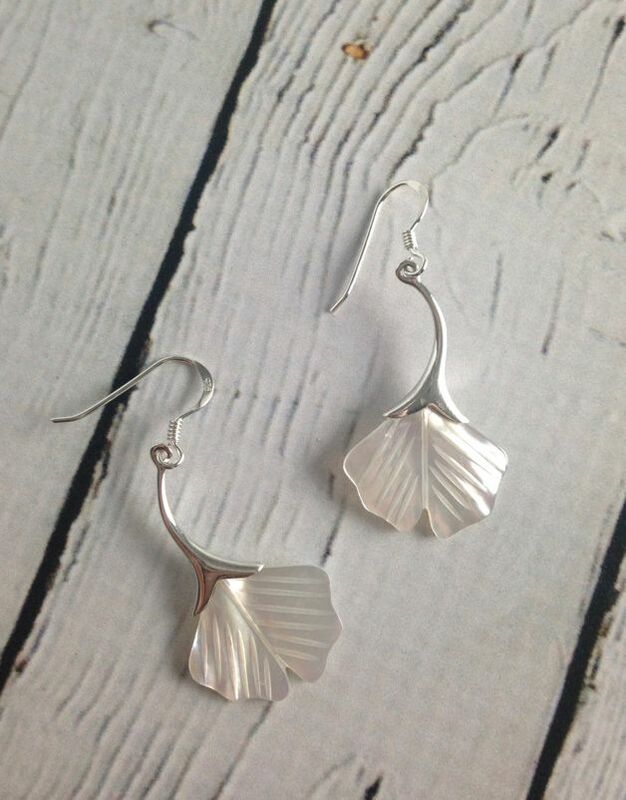 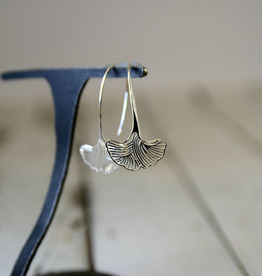 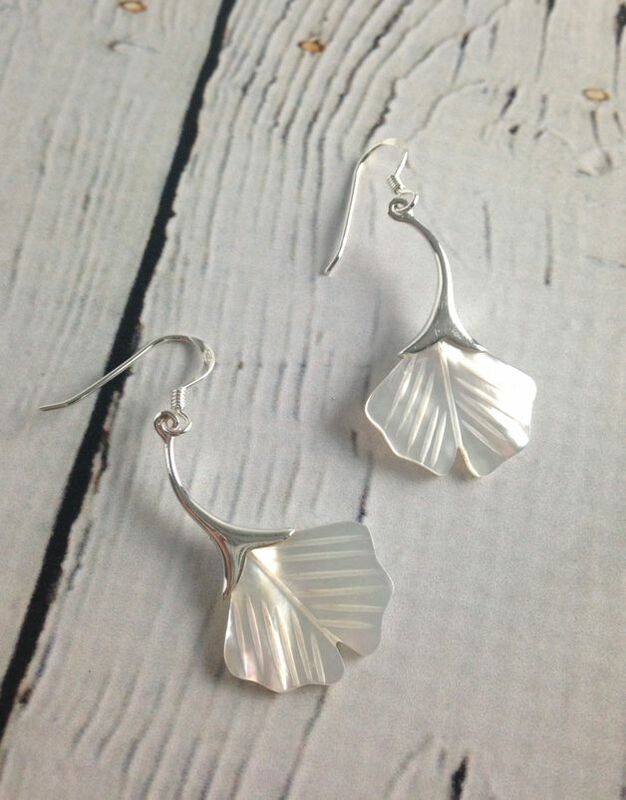 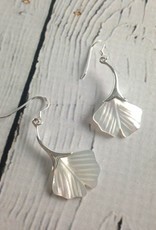 Silver and Mother-of-Pearl Ginkgo Leaf Dangle Earrings. 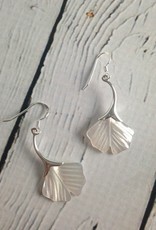 Earrings measure 1.75” x .75”. 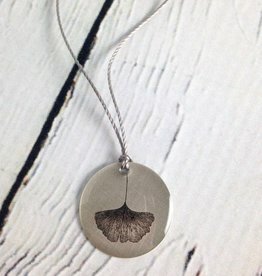 This detailed image of the Ginkgo leaf is printed onto a 7/8" sterling silver disc then protected with a smooth layer of clear resin and hung from an 18" gray nylon thread cord with sterling silver o-ring clasp.